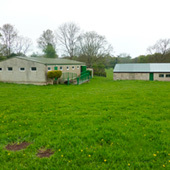 After a lengthy search for a property, a suitable site was located in 1965 in North Wales, where Plast could hold its summer camps and develop its programme. 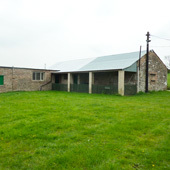 This is a former farm called Rangemore, consisting of a residential house with 7 acres of land. It has a purposely-built scouts dormitory that can sleep 40 scouts and a very large kitchen and dining room. 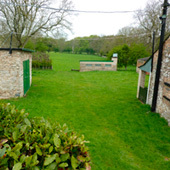 Separate boys and girls wash and shower units and a separate boys and girls toilet facility. In addition we have two outdoor building containing 9 rooms for guests and visitors and it is only 15 minutes to the sea and beach. The site was given the name Verkhovyna (recalling Verkhovyna, the Carpathian Highlands). Plast hold regular camps for Cubs, Scouts, Rovers and training courses for leaders throughout the year. 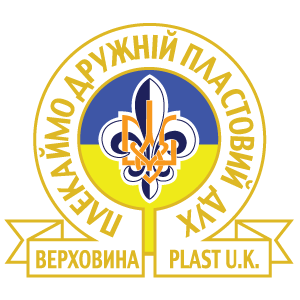 The Ukrainian Scout Camp is held every year during July and August. The campsite is also available for hire during the rest of the year. For more information contact Danylo Wilchinski.